Sara Johnson received her Ph.D. in Comparative Literature from Stanford University and her B.A. from Yale in Comparative Literature and African American Studies. She has performed extensive research abroad, living in Senegal, Cuba, Haiti and Martinique. Recent fellowships include those from the Ford Foundation, the University of California President’s Postdoctoral Program, the Library Company of Philadelphia, the Hellman Fund, the UC Consortium for Black Studies, and the American Council of Learned Societies. Her book The Fear of French Negroes: Transcolonial Collaboration in the Revolutionary Americas (Berkeley: University of California Press, 2012) is an inter-disciplinary study that explores how people responded to the collapse and reconsolidation of colonial life in the aftermath of the Haitian Revolution (1791-1845). The book traces expressions of transcolonial black politics, both aesthetic and experiential, in places including Hispaniola, Louisiana, Jamaica, and Cuba. It was published by the University of California Press as part of the Modern Language initiative, a partnership between the Modern Language Association, the Mellon Foundation, and several university presses. 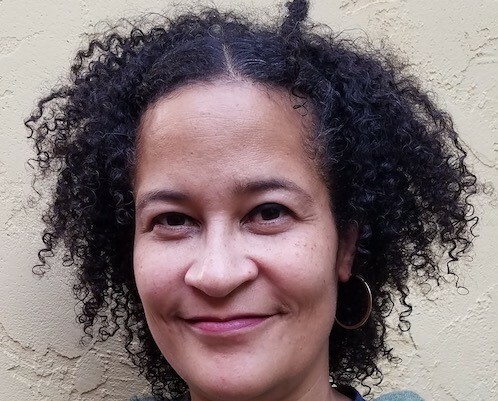 She is currently working on a book documenting the work of Moreau de Saint-Méry, a late eighteenth-century Caribbean intellectual. The book combines traditional academic chapters and experimental work that plays with archival fragments and visual culture to tell the stories of free people of color and enslaved women and men who enabled Moreau’s work. Johnson is the co-editor of Kaiso! Writings By and About Katherine Dunham (Madison: University of Wisconsin Press, Studies in Dance History Series, 2006) and Una ventana a Cuba y los Estudios cubanos (San Juan: Ediciones Callejon, Spring 2010). Kaiso! was named one of the top ten arts books of 2006. Professor Johnson’s research and teaching areas include literature, theory and history of the Hispanophone, Francophone and Anglophone Caribbean and its diasporas; hemispheric American literature and cultural studies; the Age of Revolution in the extended Americas; and music and dance of the African Diaspora. She has served on undergraduate honors committees and been a mentor for the McNair program and the Undergraduate Faculty Mentor program. She has also served on over forty doctoral committees and her former students have gone on to various postdoctoral programs and to tenure-track jobs at institutions including the University of Oregon, the University of North Carolina, California State University, the College of William and Mary, the University of New Orleans, Brigham Young University, Arizona State University, Seattle Pacific University, East Stroudsburg University, Palomar Community College, Yale University, and Florida International University. She currently serves on the board of south: a scholarly journal, is a member of the Editorial Advisory Board of the Omohundro Institute for Early American History and Culture’s book program, and is a member of the Advisory Board of the Arts and Humanities Research Council (AHRC)-funded project Dunham’s Data: Katherine Dunham and Digital Methods for Dance Historical Inquiry. The Fear of French Negroes: Transcolonial Collaboration in the Revolutionary Americas. Berkeley: University of California Press, 2012. Una ventana a Cuba y los Estudios cubanos. Co-edited with Amalia Cabezas, Ivette Hernández-Torres and Rodrigo Lazo. San Juan: Ediciones Callejon, Spring 2010. Kaiso! Writings By and About Katherine Dunham. Co-edited with VeVe Clark. Madison: University of Wisconsin Press, 2006. “He Was a Lion and He Would Destroy Much”: A Speculative School of Revolutionary Politics." Small Axe: A Caribbean Journal of Criticism 58 (March 2019). “Your Mother Gave Birth to a Pig”: Power, Abuse, and Planter Linguistics in Baudry des Lozière’s Vocabulaire Congo." Early American Studies (Winter 2018): 7-40. “Moreau de Saint-Méry: Itinerant Bibliophile.” Library and Information History Volume 31. 3 (2015): 171-197. “Never Put your Feet where your Eyes Cain't See: A Meditation on Deepness” in south: a scholarly journal.” Vol 47. 1 (Fall 2015): 52-62.
" Page to Praxis: Bringing Diaspora Literacy to Life." Theatre Survey Volume 50.1 (May 2009): 19-22.
"' You Should Give them Blacks to Eat" Cuban Bloodhounds and the Waging of an Inter-American War of Torture and Terror." American Quarterly Vol. 61.1 (March 2009): 65-92. Winner of the Constance M. Rourke Prize given by the American Studies Association annually to the best article published in American Quarterly.
" Cinquillo Consciousness: The Formation of a Pan-Caribbean Musical Aesthetic." Music, Writing and Caribbean Unity. Ed. Tim Reiss. Trenton: Africa World Press (2005): 35-58. "The Integration of Hispaniola: A Reappraisal of Haitian-Dominican Relations in the Nineteenth and Twentieth Centuries." Journal of Haitian Studies Vol. 8 No. 2 (Fall 2002): 4-29.